IDEA experts reunited on 12 December 2018 in Brussels to continue the discussion on Characterization ... Read more. Under the framework of IDEA, a revised methodlogy on Quantitative Risk Assessment (QRA2) has been ... Read more. Over 2015, IDEA worked on the development of a revised QRA methodology (QRA2), focusing on ... Read more. The 4th IDEA Workshop on Pre- and Pro- haptens took place on December 13th, 2016 ... Read more. The IDEA Hydroperoxides TF will meet on December 12th, 2016 in Brussels. The objective of ... Read more. The IDEA Hydroperoxides Task Force met on May 11, 2016 in Brussels (Belgium) to discuss ... Read more. Being largely based on animal data, it was agreed at the IDEA Annual Review 2015 ... Read more. 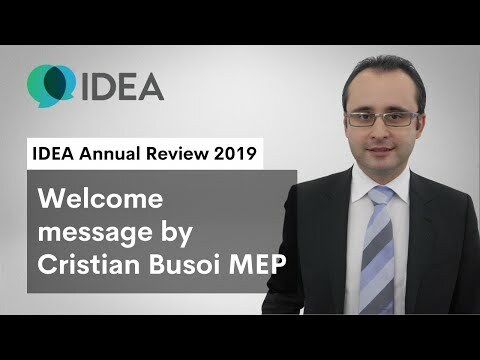 The third Annual Review of the IDEA Project was organized in Luxembourg by DG SANTE ... Read more. As a follow up of the Hydroperoxides TF report that was presented to the broader ... Read more. The third Workshop on pre- and prohaptens (Leuven, October 20 and 21, 2015; Programme) was ... Read more. The second IDEA Workshop on pre- and prohaptens took place on June 16th and 17th, 2015 ... Read more. The IDEA Hydroperoxide Task Force meeting took place on Monday June 15, 2015. Industry and Academia experts on ... Read more. During the 2013 Workshop on pre- and pro-haptens participants concluded that the development of new ... Read more. The second Annual Review of the IDEA Project was organized in Luxembourg by DG SANCO ... Read more. On September 23-25, 2014, the second IDEA Workshop on Characterization and Categorization of Fragrance Allergens ... Read more. The 2013 IDEA workshop dedicated to the characterization of fragrance allergens led to the conclusion ... Read more. On May 13-15, 2014, IDEA brought together leading toxicologists, dermatologists and risk assessment experts in ... Read more. In May 2013, the participants of the IDEA Workshop on Pre- & pro-haptens identified the ... Read more. On March 11-13, 2014, IDEA brought together leading toxicologists, dermatologists and risk assessment experts in ... Read more. The first IDEA Annual Review took place on December 13th, 2013 in Luxembourg. This event, organized ... Read more. On August 27-29, 2013, IDEA brought together leading dermatology experts in a workshop to express ... Read more. On May 28-29, 2013, IDEA brought together leading dermatology, toxicology and chemistry experts in a ... Read more. On March 19-20, 2013, IDEA brought together leading dermatology experts in a workshop to express ... Read more. Initial overview from the Rapporteur (Prof. Jim Bridges) on the 1st IDEA workshop on the ... Read more.